Late post. 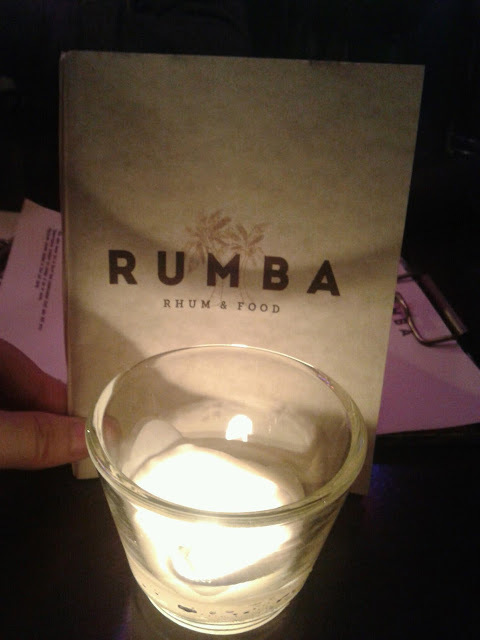 About a month ago, some friends and I went to Rumba--basically a Rum Bar that serves food such as empanadas and tacos and other yumm foods. Located in Seattle's Capitol Hill, this place has a whole bar full of different rum and has a small but delicious menu. Check out their menu and pricing HERE. The place is small and right next to Tango (another amazing place I highly suggest checking out). It is very dim inside with candles lit to create a more intimate ambience. 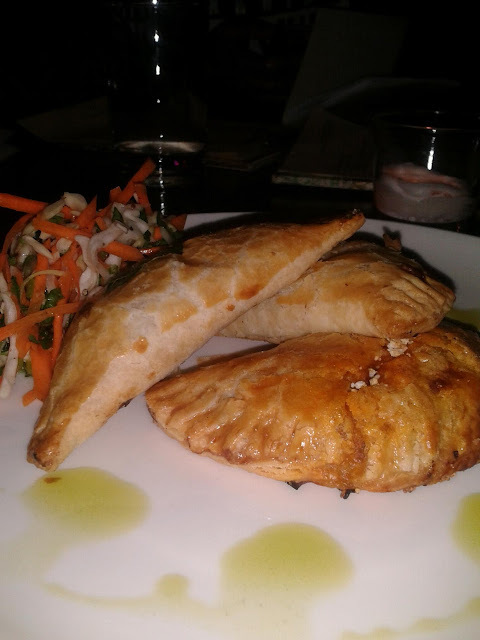 The one on the left is is the Chicken empanada which was probably my least favorite. Don't get me wrong, it was good, but the others were better (in my opinion.). It just wasn't as fragrant and flavorful as the other two. 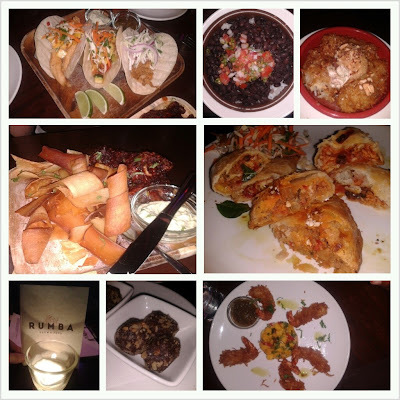 The one in the middle is the Chorizo filled empanada and was my favorite one. The smokey flavor of the sausage went very well with the potatoes and cheese. 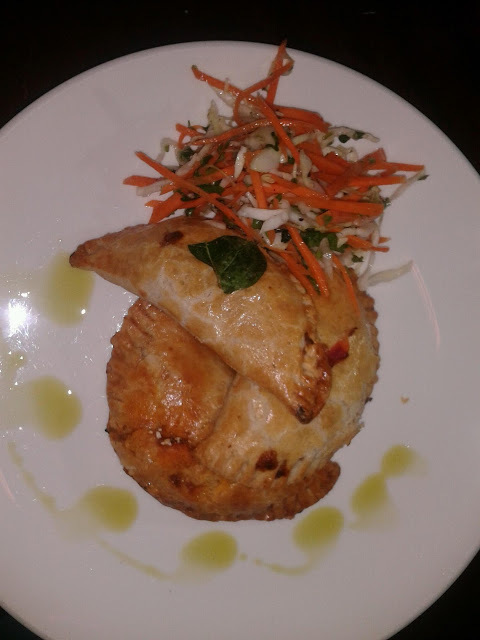 Plus, one of my favorite fillings in an empanada is potato so it was just the perfect combination. The last one on the right was also very delicious. It was the vegetarian one with corn, olives, sun dried tomatoes, apples and some other ingredients. I loved the sweetness that the apples brought to it and also loved the distinct flavor of the sundried tomatoes. This one carried a whopping of flavor. 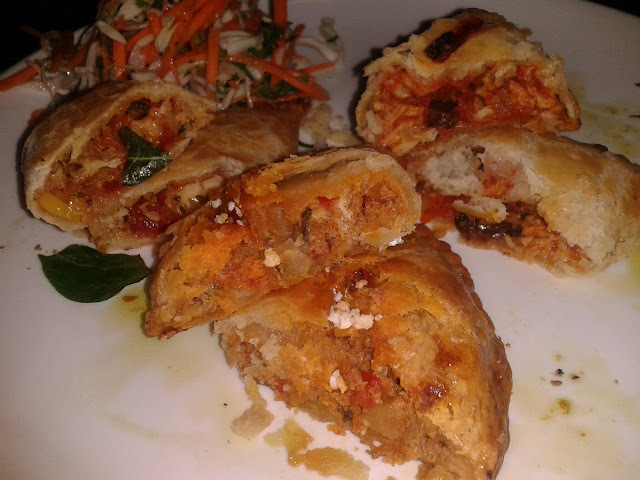 Close up of inside of the empanadas. 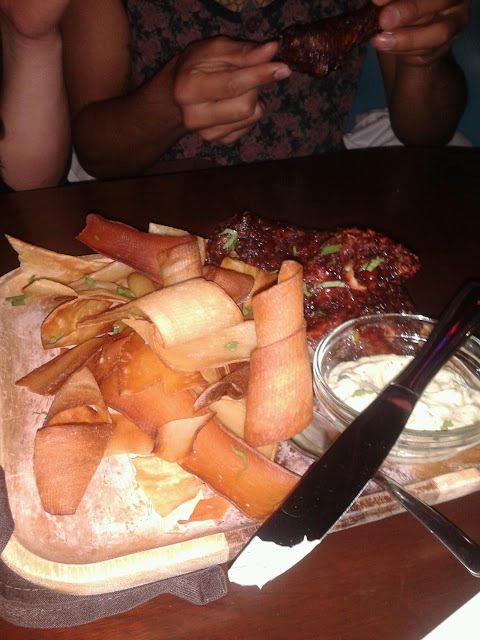 I didn't get to try the chicken wings, but my friends said it was 'bomb'. 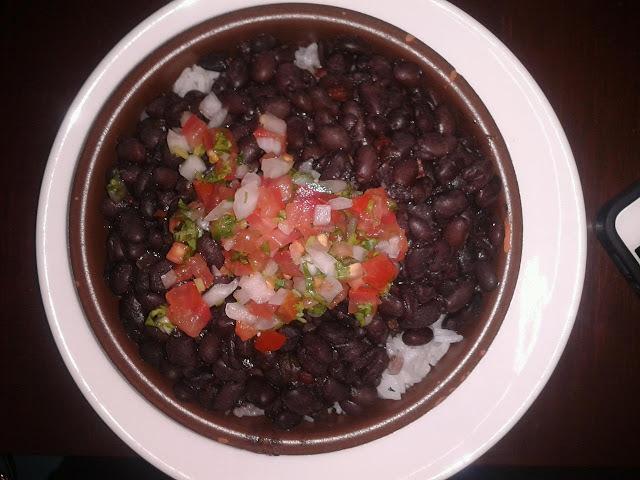 I did get to try the Yucca a.k.a. Cassava (a type of root) chips and the way they're prepared you can tell their homemade (or at least I think they are). Shredded in long pieces and fried to a crisp. Their tacos were really good too! They had 3 kinds--Tilapia, squash, and carnitas but I only tried the tilapia. 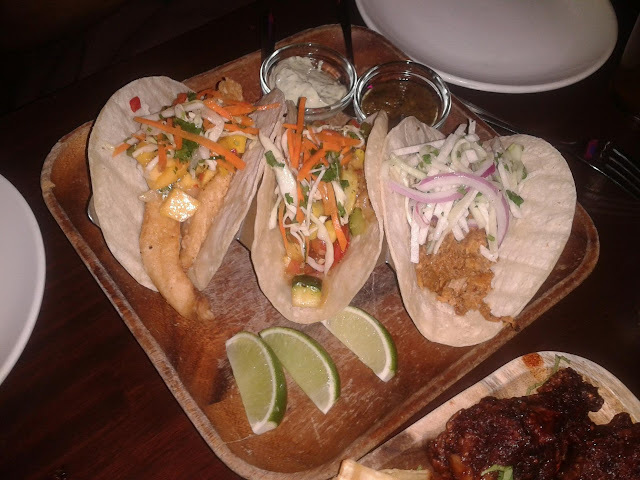 I loved the mango salsa they used to balance the fishiness of the tilapia and their sauce/dressing to go over the tacos was also really delicious. It was a cool, creamy topping and with lime juice added on top--a perfect match. 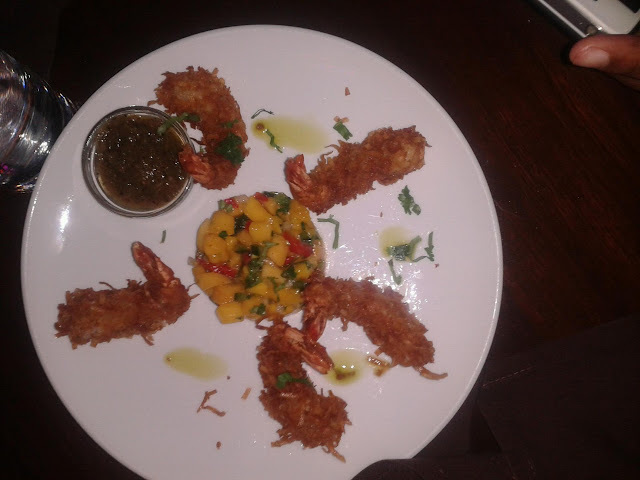 Another one of my friends had the coconut prawns. I had a piece of one and it was very tasty. The coconut shredding was nice and crisp and the shrimp was plum and juicy, not dried out at all. I just kind of wished they served a little more on it. 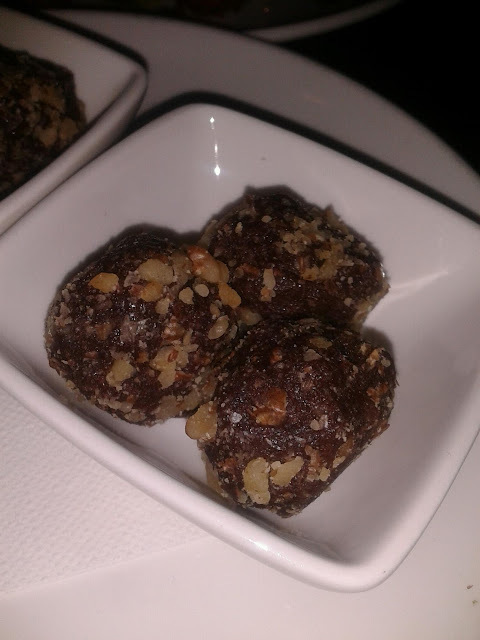 Then for dessert, I wanted to try these Rumballs, which is a cake batter soaked in rum and rolled in pecans (I think). These cakes were fully loaded with rum in each bite and you could definitely taste the alcohol. I don't think I'd be able to eat more than one ball so its a nice little sweet treat to have (if you like chocolate and rum that is). Lastly, another one of my friends ordered the Fried Bananas Foster. 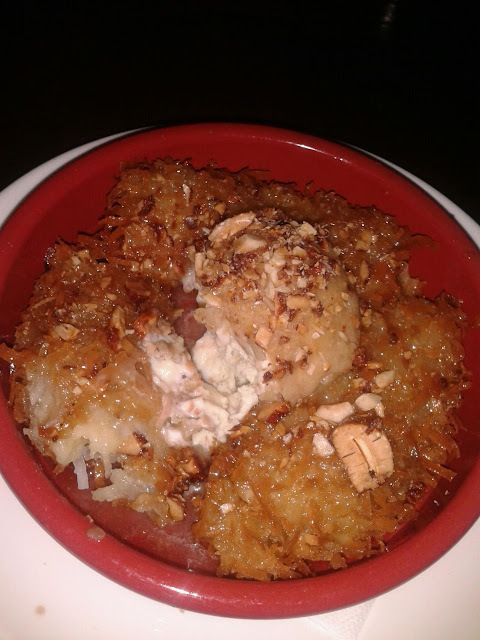 I'm not a huge fan of banana desserts since I don't really like cooked bananas, but the friend coconut around the banana along with the coconut ice cream made it a lot better. Oh yummie! Now I'm craving some empanadas!